Springtime in Sydney is something pretty special – it’s a fantastic time of year to enjoy some of iconic Sydney locations on the weekends, without the summer crowds or the winter rain. 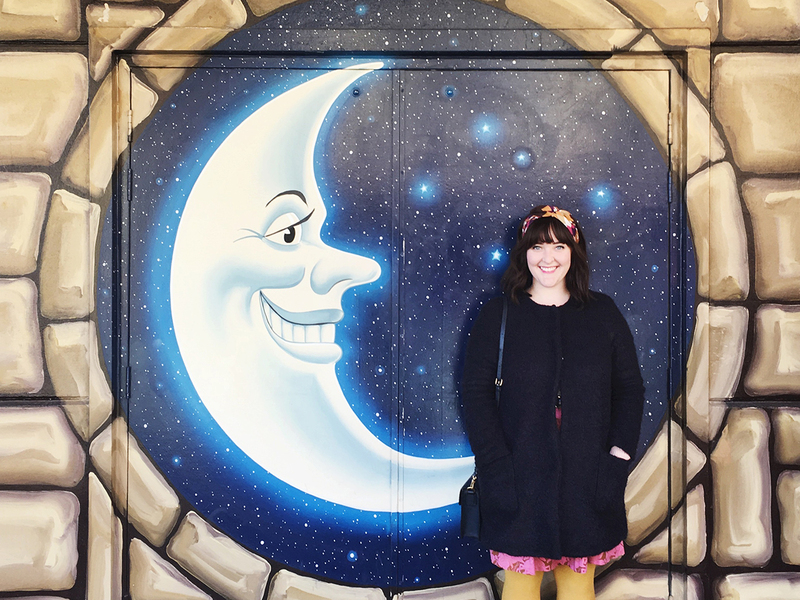 We’ve been revisiting some of our favourite spots around the city to bring you a list of the best places to visit this Spring – whether you’ve got kids in tow or are looking for some fun date activities, we’ve got you covered! This year, Taronga Zoo celebrates its 100th birthday, so if you’re a Sydney-sider and haven’t yet visited the zoo, or even if it’s just been a while between stop-ins, 100 years of history might inspire you to get across the Bridge for a visit! More than 4,000 different animals from over 350 species call the zoo home and it’s a chance to see creatures great and small up close. If nothing else, go to see Sydney from the giraffe enclosure – it always seems a little unfair that they have those good looking harbour views AND their height advantage! Right on Darling Harbour is the SEA LIFE Sydney Aquarium, the best place to come for your underwater fix! With more than 700 species of fish and sea creatures from all around Australia, it’s a great spot to add a little aquatic education to the kids’ extra curriculum. The stars of the show are the two dugongs that live in the aquarium – with only five dugongs living in captivity in the world, it’s something special to be able to see two at once. There’s also starfish you can touch, aquarium tunnels you can walk through, even a glass-bottomed boat you can feed sharks from. 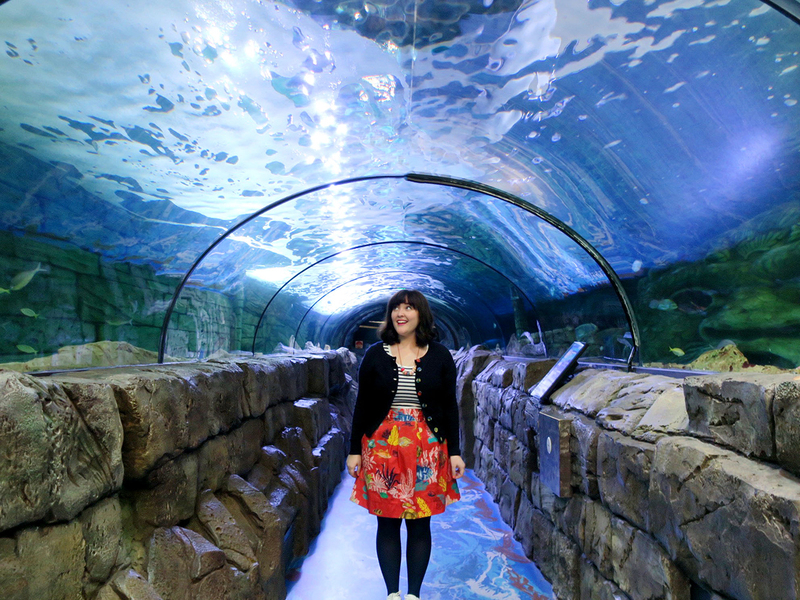 Sea Life is guaranteed fun for the whole family, and better yet is an all weather outing. Nothing beats a birds eye view of the city, and the Sydney Tower Eye is the best spot to do it. At 300 metres high it’s around the same height as the Eiffel Tower in Paris, and the panoramic views mean you can see as far away as the Blue Mountains! Kids will love spotting recognisable buildings and locations, from Darling Harbour and Anzac Bridge to the iconic Coca-Cola sign in Kings Cross. If you’re looking for more ways to enjoy the view, you can dine in the restaurant at the top of the tower, and enjoy a buffet meal while the restaurant slowly revolves, meaning you can take in dinner and a view all from the comfort of your chair. Feeling brave? There’s also the SKYWALK, where you can walk out on the open air platform 268 metres above ground. Whether you’ve got young kids, or are just looking for a hit of nostalgia, a ferry ride across the Harbour to Luna Park is a fun way to spend a sunny Saturday. That recognisable toothy smile has been greeting people since 1935, with the whole concept of the theme park based on the original Luna Park on New York’s Coney Island. Old school carnival games, popcorn, fairy floss, carousels and ferris wheels, it’s always a fun visit. From October onwards, the restaurant onsite ‘The Deck’ runs a unique dining experience in the ferris wheel, with each cart becoming a private booth for beautiful views and a fancy dinner for two. The ornate details in the Queen Victoria Building never fails to impress us designers. 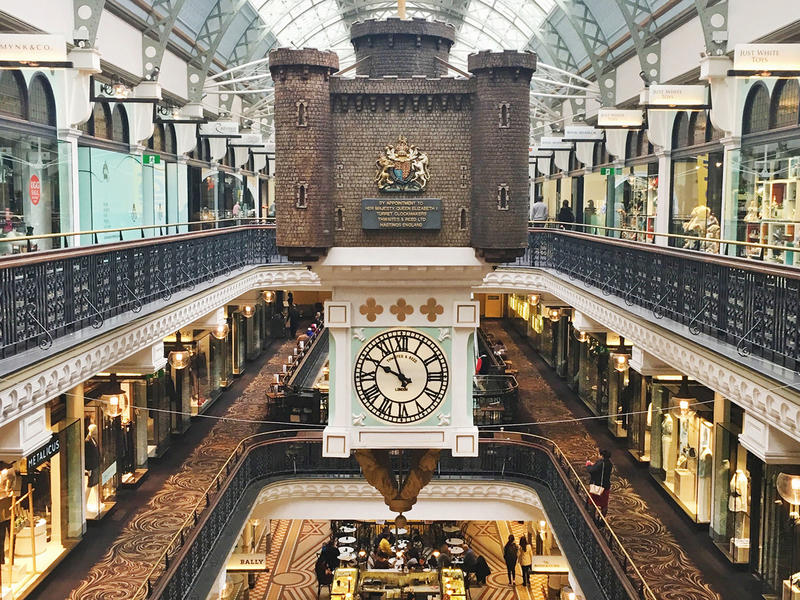 Originally built to commemorate the Queen of England’s Diamond Jubilee, and taking five years to build, it’s only fair that you give the building itself some attention when you’re next shopping in the CBD. There are definitely worse places to run your errands! The two giant mechanical clocks on the upper levels feature dioramas and moving scenes from moments in history from both Europe and Australia. The crowd that gathers every hour to watch the clocks strike is a sight in itself. Take the kids for an afternoon treat at Sydney dessert king Adriano Zumbo’s patisserie on the ground floor. A visit to the Sydney Fish Market is an overload for the senses. The largest fish market in the southern hemisphere, it offers Australia’s biggest variety of fresh seafood, as well as having a bakery, butcher, greengrocer and cafes on site. Whether you’re a seafood connoisseur and looking for something exotic, or just after your classic fish and chips, the Fish Market is an entertaining Sydney stop – just be prepared to fight seagulls for your lunch if you choose to eat outside! Sunday morning yum cha at the markets is a time honoured tradition for a lot of locals too. The Art Gallery of New South Wales boasts an impressive collection of paintings, sculptures and photographs from all around the world, as well as works by our famed Australian artists. It’s fun to spot the work that references back to Sydney and see the inspiration that our harbour city has given artists. 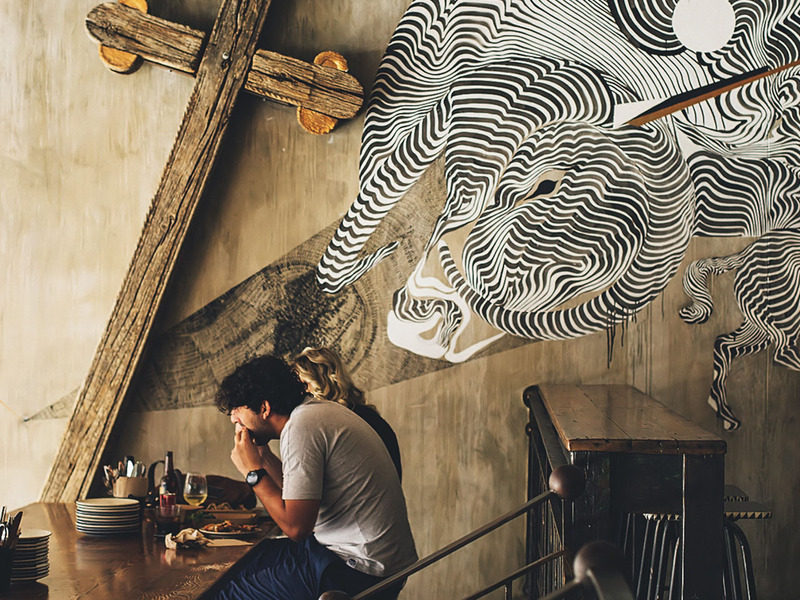 John Olsen’s ‘Five Bells’ reflecting the harbour, Max Dupain’s photographs of Bondi Beach, and Brett Whiteley’s studio views of Sydney’s waters are a few of our favourites. Previous post Zoe Foster Blake power shops Florence!